I've said it before, and I don't mind saying it again; Thank you! 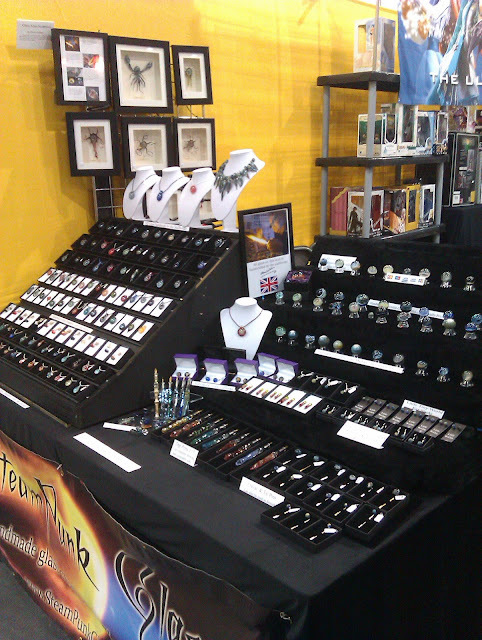 Thank you to everyone who came and saw us at the Expo at the Excel centre this weekend, who took time to chat to us, who bought something from us, and of course those who just looked amazing! Thank you! It has to be the most amazing Expo for us yet! With wider aisles, better spacing, and more exits/entrances it was so much easier to get around this time. Of course for us Expo started months ago, with me making extras that I've been putting aside ready, mostly larger sparklier marbles! That didn't stop me from last minute panics and glass melting, and the almost expected propane tank running out on Sunday morning! The local garage had run out of canisters, but luckily a local garden centre had one of my 'emergency back-up size' in stock, so a quick dive there and I was back in business! I managed a couple more kiln fulls by Wednesday evening, including a couple of new Aliens designs too, although neither ended up being mounted as I wasn't happy with them. I did have a very few Aliens, but not as many as I would have liked to have taken. Wednesday night and Thursday morning was all last minute packing, and 'what have I forgotton' panics, before the evening drive to London. We decided to stay over the night before this time, as it meant we didn't have the early morning start and then drive through rush hour, and we could take more time over setting up. 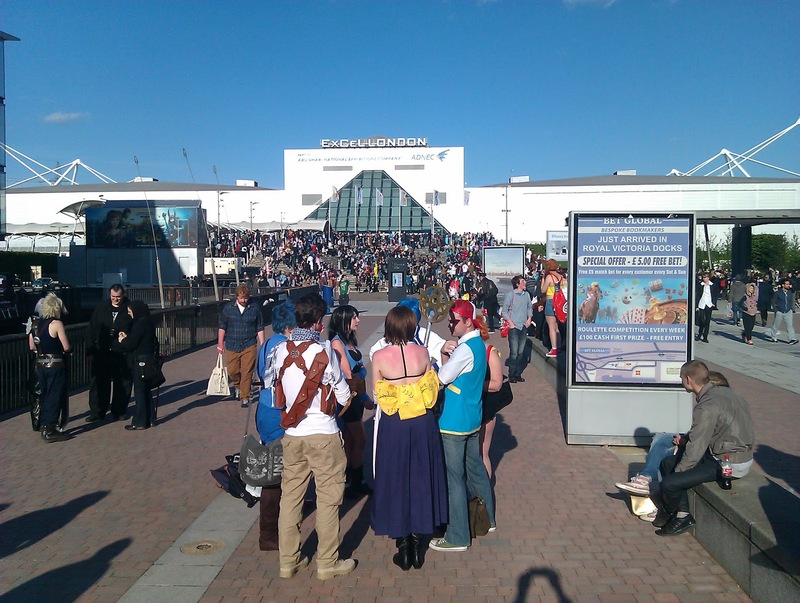 However we were really surprised to see how many Expo-goers had already turned up too, after checking in to the hotel as soon as we walked outside saw a group of fully dressed Jedi going into the corner shop opposite! 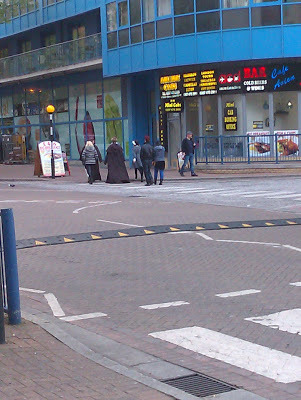 I got a very quick snap, which doesn't show they were also carrying their light sabres too! So, now you know, Nisa shops are favoured by Jedi's! Friday! First a tense ten minutes whilst I tried to book for the October Expo, then a hour to navigate the complex Excel loading bay system, get our passes, unload, park, then finally begin to set up! We were luckly to be on a odd end where the stall next to us had to suround their stall for security (they sold knives and swords) so it gave us a handy wall to display the few aliens I'd bought. It was great to feel rested and able to take our time to set up, but the time still flew and before I knew it they were announcing the doors opened in thirty minutes!